SpinCar now offers the option to have multiple 360º interior views. This will now allow for consumers to see multiple panos on vehicles with 3-row seating or in an RV, the consumer can see 360º views of the main room, bathroom, and bedroom. The SpinCar Capture App offers camera controls to help correct for various lighting conditions. The app now offers exposure and white balance control to help fix any imbalances caused by lighting. These setting changes can be seen live right in the viewfinder. You can now review the pano as an interactive 360 in SpinCar Capture! This feature is enabled for all customers and allows you to preview the interior spin. You also have the ability to enable in-app VR mode by tapping the button in the lower left-hand corner while in the app. Based on feedback from partners, resellers, and customers, we reduced the speed at which a spin auto-rotates upon loading. 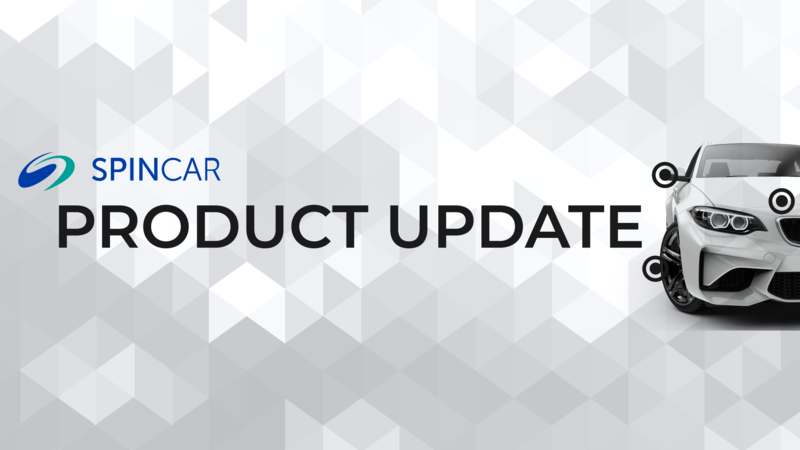 This update ensures your customers are getting the best VDP interaction possible. This change has been applied across the board for all customers and all spins. We’ve improved the load time of 360º spins on mobile devices, giving shoppers a quicker and more responsive experience as they browse. This newly released feature allows for users to browse images of each VIN within the ad unit just as they would if they were on the VDP. This will further pre-qualify a potential shopper who clicks!